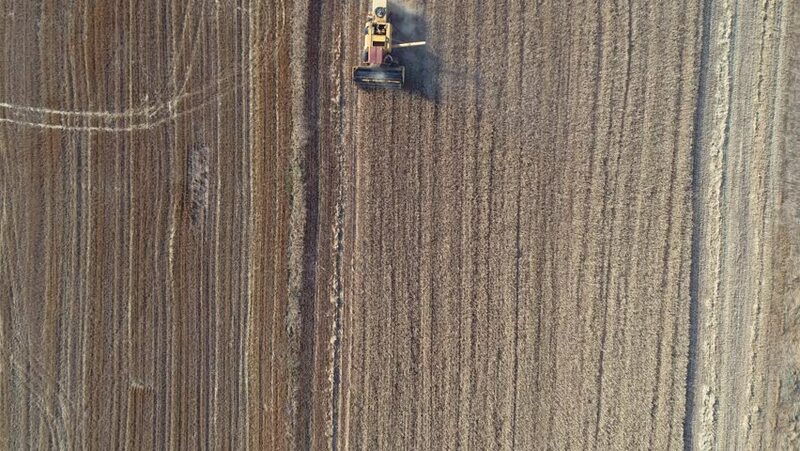 Aerial view of modern combine harvesting wheat on the field. Flying directly above combine. Top view. Agriculture scene. hd00:22Real Old Wood Texture Vintage Background. Dark background. Camera moves from left to right.